Everyone who knows me would tell you that I love the various BBC programs about historical farms: Victorian Farm, Edwardian Farm, etc. 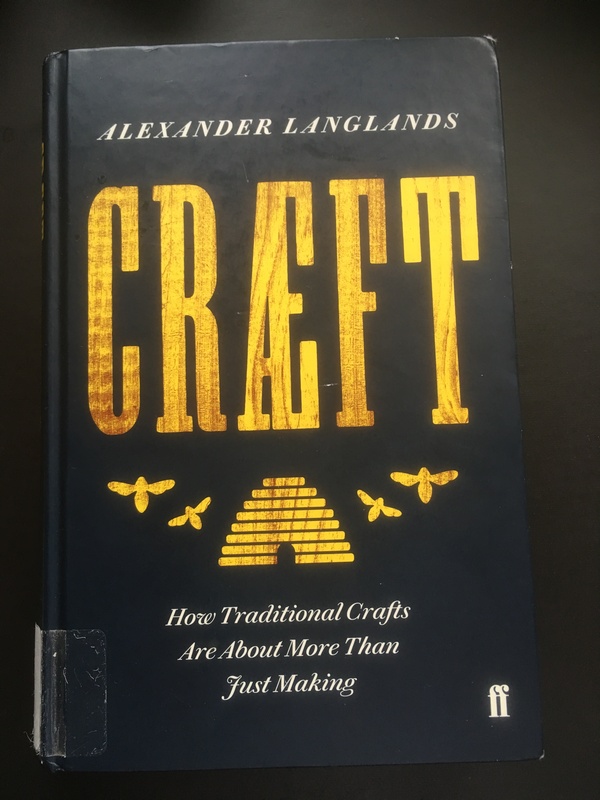 One of the two archeologists in these series, Dr. Alex Langlands, has written a book, Craeft: How Traditional Crafts Are About More Than Just Making. What is important about this book for me is that Dr. Langlands’ concept of craeft relates completely to the unique skills of humans that will never be replaced by technology or machines. Craeft, as contemplated in this book, or by all who practice them, is about how humans solve problems of necessity by thinking, and then creating solutions. This relates to my most recent blog, and to two other books I’ve recently reviewed. We live in an era when there are concerns that jobs will be taken over by technology, but our culture of crafts will ensure that this does not happen. This is a scholarly book that is easy to read, with a well-articulated premise. It was easy to imagine working at the tasks described by the author. It was possible to understand the maker’s satisfaction in a task completed. “The local potter couldn’t specialize and expect to survive. Instead, they had to turn their hand to do a huge range of vessels from pie dishes, pancheons, cream-making pans, breadcrocks, butter pots, stew dishes, casseroles, cauldrons, fish dishes and bakers, to storage vessels, ham pans, salt kits, jelly moulds, jugs, plates, bowls and chamber pots. I could go on. In fact, I will: costrels, spittoons, alembics, paint pots, chicken feeders, hog pots, pitchers, fuddling cups, stinkpots, Long Toms, lading pots, bussas, chafing dishes, bed pans, benisons, barm pots, cloughs, clouts, piggins, posset pots, wash pans, whistles and wide bottoms.” (Page 269) Is that not the most marvelous passage? Can you not just imagine a pottery with all these stoneware vessels piled high? After several weeks of reading about how technology and electronics are changing work, it was refreshing to be reminded that it will be impossible for a machine to catch up to the ingenuity of humans. Thank goodness writers like Langlands are still plying their craft.